The designation would bring the power of eminent domain, allowing the township to seek new developers for the site. It was more than two years ago when the New York-based Mason Asset Management and Namdar Realty Group purchased the Voorhees Town Center from former owner PRIET for $13.4 million. In the two-plus years since that time, Voorhees Township Administrator Larry Spellman said he’s met with the town center’s owner maybe twice. As stores continue to leave what was once the Echelon Mall and the property continues to deteriorate due to what township officials describe as the lack of a long-term plan from an absentee owner, township officials knew they had to step up and make a change. That change may be coming sooner rather than later. With that designation, under state law the township would have power of eminent domain and the power to seek out developers interested in purchasing the property from the township and improving the space. According to a report from CME Associates, the condemnation area includes the center’s empty former Macy’s store, four acres of two unused parking lots, as well as the circular knoll outside of the former Macy’s. However, the Boscov’s store would not be included in this plan. Currently, the center is Voorhees Township’s largest taxpayer, paying nearly $1 million a year. “We want the owners to go as quickly as possible, but of course we have to make sure we’re doing this as carefully as possible so that there’s no chance for it to come back and hurt us,” Spellman said. If and when the township does take control of the property, Spellman said township officials already have ongoing discussion with developers who have potential ideas for the space. 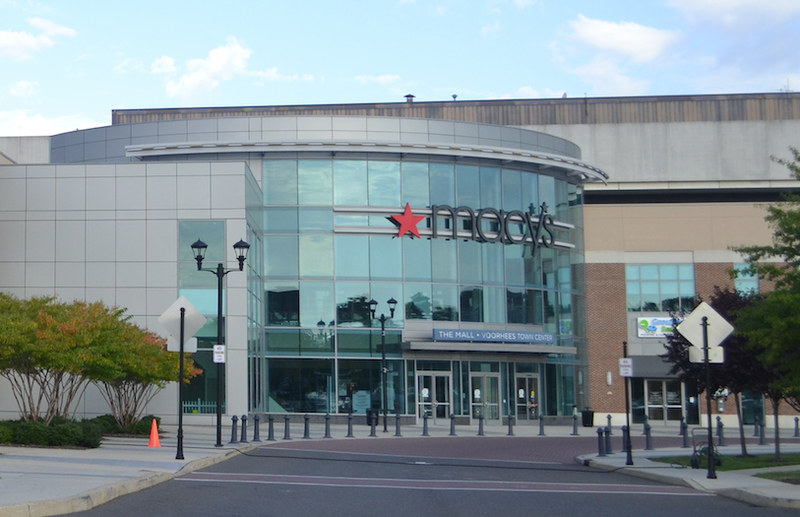 “Many towns are facing the issue of failing malls as box stores go away, and we’ve already had other towns call and ask how is this going,” Spellman said. With that designation, Spellman said the township can have the property assessed for a fee to be placed on the current owners, which would then go to the township to be used to better the property. The current owners of the mall could not be reached for comment.